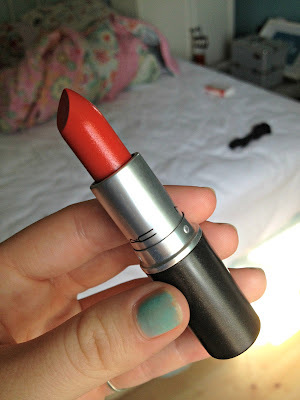 My newest addition to my lipstick collection comes in the form of MAC So Chaud. 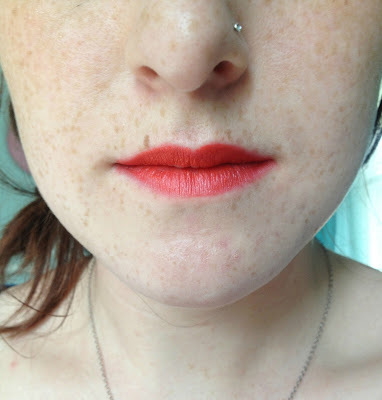 An amazing orangy red, it is very similar to Lady Danger which leans slightly redder. I feel it is not talked about in blogs etc. as much as lady danger, but I feel it deserves a lot of credit. I actually discovered it through Rhiannon of FashionRocksMySocks, check out her blog and her youtube! 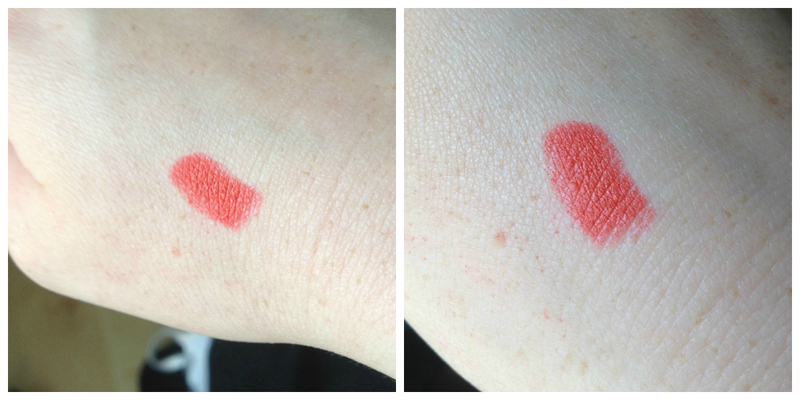 So Chaud is a matte finish, but I don't find it to be drying on the lips at all. I like to apply it using a Real Techniques detailer brush (part of the core collection) as I feel it gives an even colour and it helps to really push the colour into the lips which is important when wearing a bold lip so that is doesn't stray all round your mouth. I tend to touch up on the go straight from the bullet but blending using my ring finger. 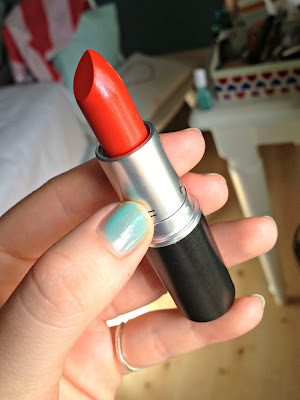 I find that it lasts so well and you can easily go out shopping for the day without touching it up, I just love it to be an intense colour so I like to top up every now and then, especially after eating. 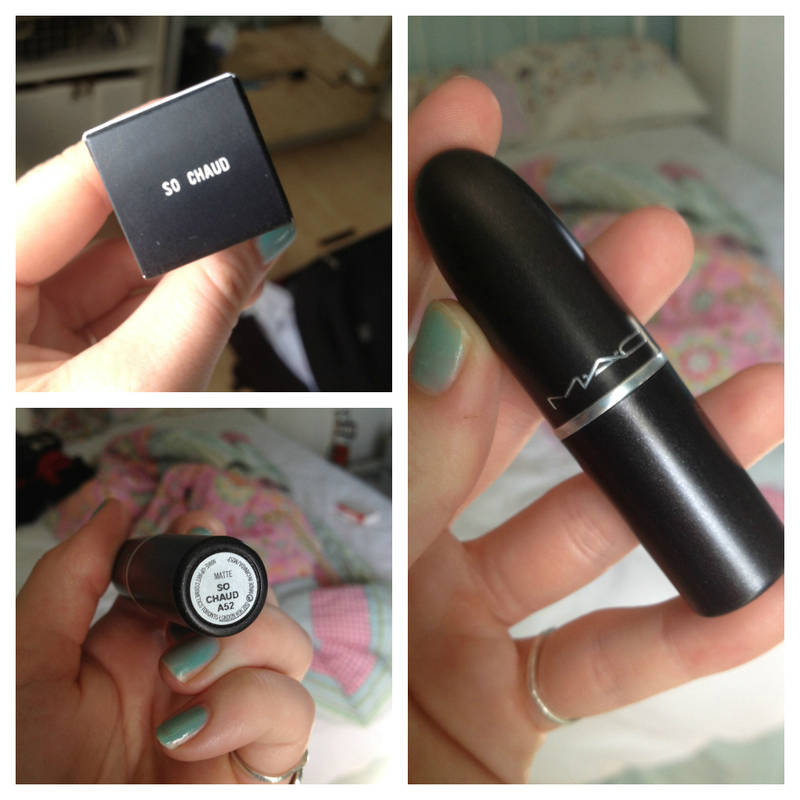 MAC lipsticks have recently upped in price to £14! Which is crazy, but there will always be people who buy them due to the amazing colour range and vast selection of formulas. What is your favourite MAC lipstick shade? Have you got So Chaud? 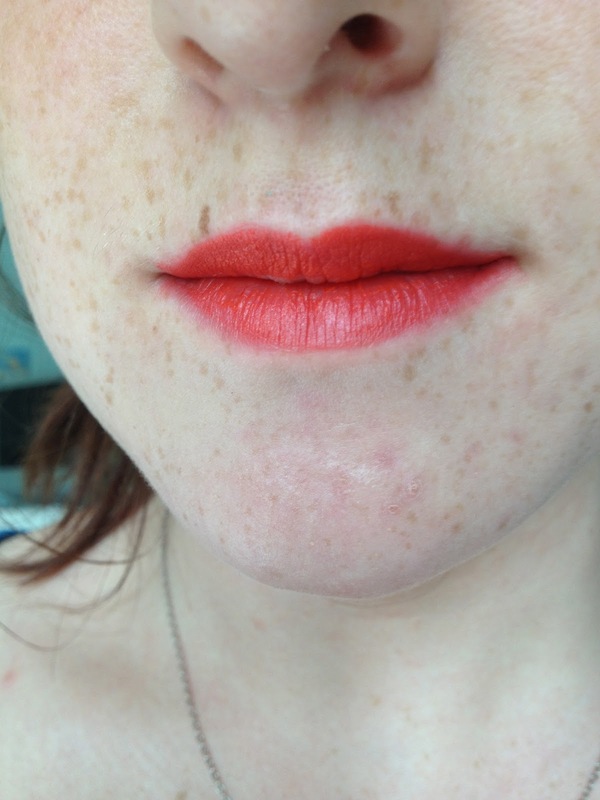 I love this colour! I bought it as a present for my sister last year and think it looks so nice :) My favourite Mac lipstick is probably 'Hue', a nice nudey pinkey colour which doesn't wash me out too much. 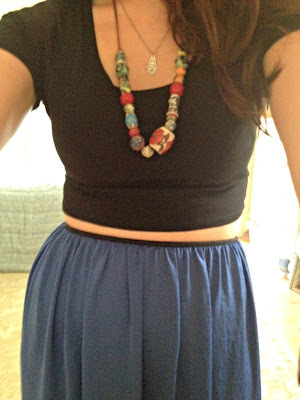 I saw your comment on my blog and my Topshop dress was bought about a year or two ago. But I just typed in 'topshop bodycon aztec' into eBay and a few came up so keep a lookout! P.S, love your blog, following now! That lippie looks great with your skin tone :)! Whats in my everyday make up bag/box?